Was There a Real Huckleberry Finn? Who's the Real Huckleberry Finn? Who inspired Mark Twain's famous character? Drawing by E. W. Kemble. 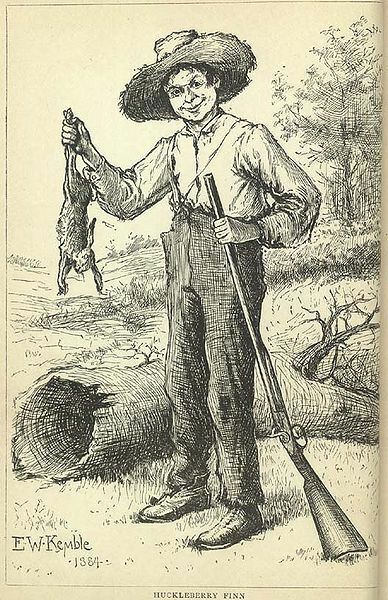 Was Huckleberry Finn based on a real person? Or, did Mark Twain imagine his famous orphan from scratch? There appears to be some discrepancy about whether or not just one person was the inspiration for Huckleberry Finn. While it’s common knowledge that authors get inspiration from everywhere some characters are more fact than fiction. 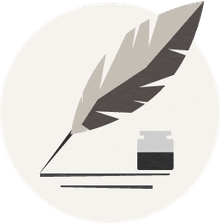 Characters are often composites of different people the writer knows or has encountered but occasionally a single person will inspire an author so much that they base a whole character on them. Huck Finn is a character that seems so true to life many readers assume he must be based on a person Twain actually knew. While Twain originally denied he based his popular character on anyone, in particular, he later recanted and named a childhood friend. On January 25, 1885, Mark Twain conducted an interview with the Minnesota "Tribune," in which he claimed that Huckleberry Finn was not inspired or based upon any one person. But, Mark Twain later claimed that a childhood acquaintance named Tom Blankenship was the original inspiration for Huckleberry Finn. When Samuel Clemens was a boy in Hannibal, Missouri, he was friends with a local boy named Tom Blankenship. In his autobiography, Mark Twain wrote: "In 'Huckleberry Finn' I have drawn Tom Blankenship exactly as he was. He was ignorant, unwashed, insufficiently fed; but he had as good a heart as ever any boy had. His liberties were totally unrestricted. He was the only really independent person--boy or man--in the community, and by consequence, he was tranquilly and continuously happy and envied by the rest of us. And as his society was forbidden us by our parents the prohibition trebled and quadrupled its value, and therefore we sought and got more of his society than any other boy's." Tom may have been a great person but unfortunately, Twain captured more than his boyish spirit in the book. Toms’ father was a drunkard who worked at the local sawmill. He and his son lived in a rundown shack close to the Clemens. Twain and his other friends envied Blankenship's apparent freedom, for the boy didn’t have to attend school, not realizing that it was a sign of the child’s neglect. In What Books Did Huck Finn Appear? Most readers know Huckleberry Finn from two of Twain’s most popular novels The Adventures of Tom Sawyer, The Adventures of Huckleberry Finn. Finn and Sawyer are a famous literary friendship. It may come as a surprise that the couple appeared in two more of Twain’s novels together, Tom Sawyer Abroad and Tom Sawyer Detective. Tom Sawyer Abroad involves the boys and Jim the escaped slave take a wild journey across the ocean in a hot air balloon. True to its title, Tom Sawyer Detective involves the boys trying to solve a murder mystery. Who Was the Real Sinbad the Sailor?